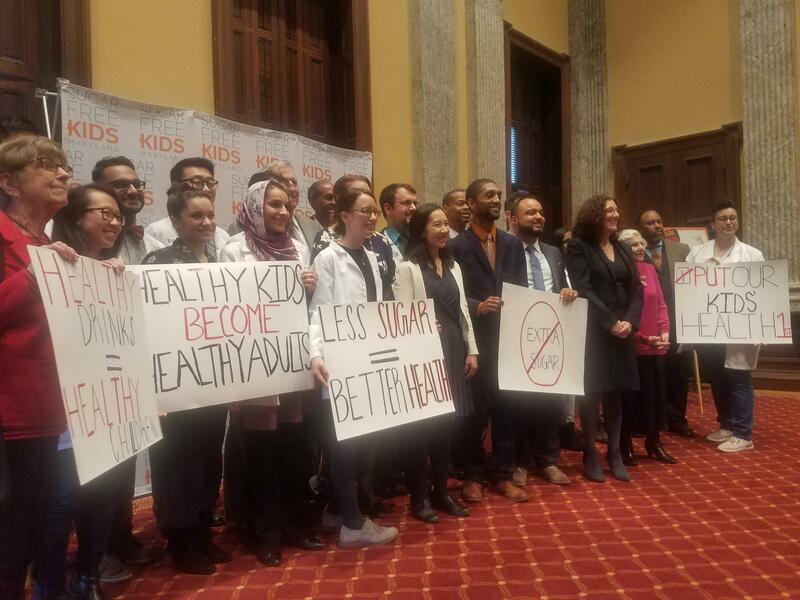 City Health Commissioner Dr. Leana Wen and District Two Councilman Brandon Scott [Center] celebrate the passage of a bill banning sugary drinks on kids menus in all Baltimore restaurants. 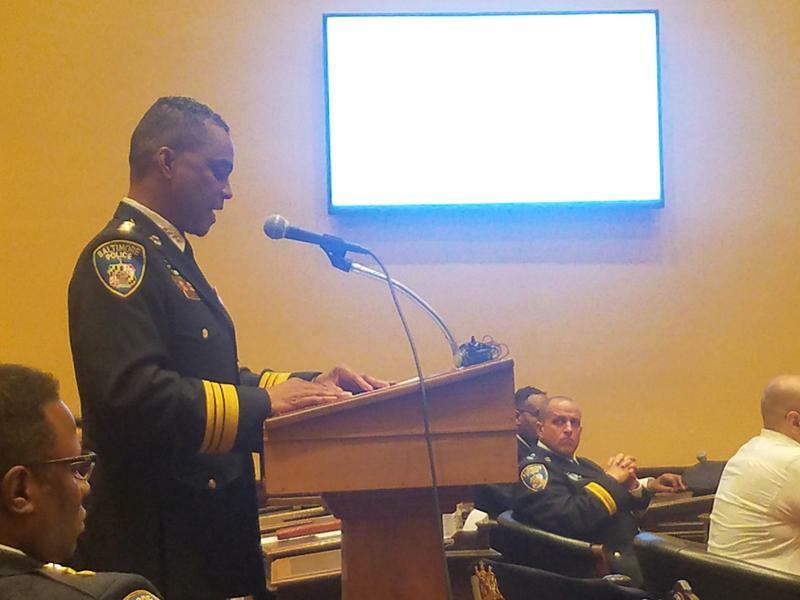 Baltimore City Council nearly unanimously confirmed Acting Police Commissioner Darryl De Sousa as the new commissioner last night. WYPR’s City Hall Reporter Dominique Maria Bonessi talks with Morning Edition Host, Nathan Sterner, about witnessing the vote and other measures that would ban various things in the city. NATHAN: How was this vote almost unanimous? DOMINIQUE: The vote was 14 yay and 1 nay from District Two Councilman Ryan Dorsey. He explained that after multiple discussions with De Sousa he did not see him fit to fix the larger issues in the BPD. And here is what else he said about his one-on-ones with De Sousa. DOMINIQUE: Dorsey went on to say that he felt De Sousa didn’t address the real issues behind what happened during the death of Freddie Gray or what led to the Baltimore Uprising in 2015. NATHAN: To pivot off of this confirmation, the council voted unanimously for three pieces of legislation that are expected to be approved on final reader next week. One was a ban on sugary beverages on children’s menus at all restaurants, can you tell me a bit more? 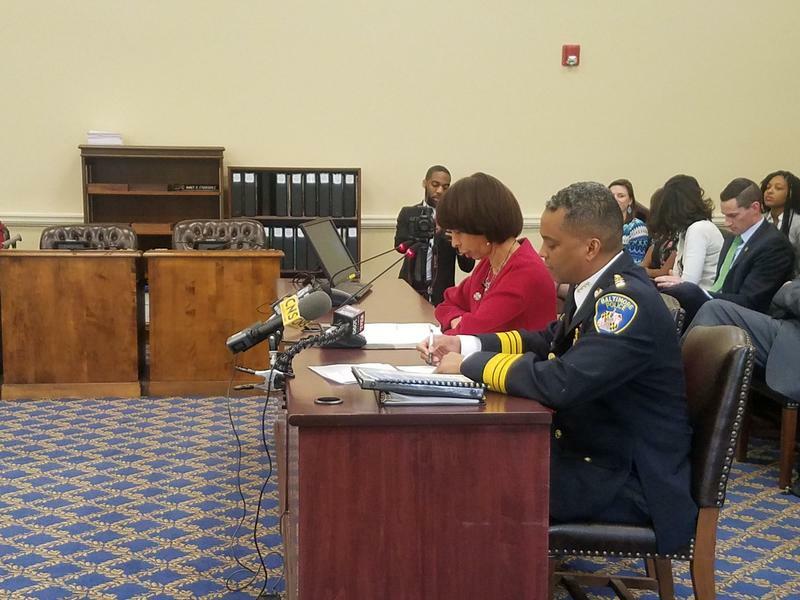 DOMINIQUE: Baltimore’s Health Commissioner Leana Wen and District Three Councilman Brandon Scott worked together on this bill that would require restaurants to offer milk and water on their children’s menus in lieu of soda and other surgery beverages. But a big question I had for Dr. Wen was will the health department also start regulating the types of high calorie, high fat, and sodium food that can also lead to heart disease and adult onset of diabetes? Here was her answer. DOMINIQUE: In other words, the bill would make milk and water cheaper options while making sugary beverages more expensive for families. Therefore incentivize families to buy the healthier option. NATHAN: The second bill was a ban polystyrene products, also passed through second reader and is expected to pass without any challenge, can you tell me more about that? DOMINIQUE: Right so once again this bill found favorable in a judiciary committee and unanimously voted on by all council members. This would prohibit food service facilities like schools, nursing homes, and hospitals to have disposable food service ware. Councilwoman Mary Pat Clarke was the lead sponsor on a bill that has received a lot of pull from the entire council because they say it is better for the environment and polystyrene products do not break down when they are disposed. NATHAN: And finally, there was one bill last night that got push back from District 11 Councilman Eric Costello, what’s the bill and the counter argument? DOMINIQUE: The bill was to prohibit the expansion or addition of crude oil terminals to Baltimore city. I’ve reported on this when it was first introduced. Basically banning crude oil train terminals that would run beneath downtown streets and hazardous if there was a derailment. Councilwoman Mary Pat Clarke cited what happened in Lac Megantic, Canada in 2013 where an oil train derailed, struck a town, exploded, and killed almost 50 people. The town has taken years to recover from the tragedy. Councilman Eric Costello argued this bill does not do what it say it will, but said this. DOMINIQUE: Basically, Costello is arguing that the port of Baltimore has been around for 113 years and is a major economic engine that would be hindered by this bill.